This product is available at an awesome price and is well worth the price you pay to protect your expensive mattresses. I know we wish we had put one on ours years ago. A few little ones later, several moves, and lots of accidents, vomiting, and spills later we are ready for a new mattress and this time we are prepared to keep it protected as long as we can. I have seen other mattress protectors that cost way more then this and don't do half of what this one will do. For a bargain price you can pick up one for each of your mattresses and protect those mattresses so they last longer. I love the feel of the protector, not plastic but Terry which is much more comfortable and doesn't make that crinkly noise when you are sleeping like the plastic covers do. I am very happy with this and would suggest anyone looking to check this one out before settling on another. 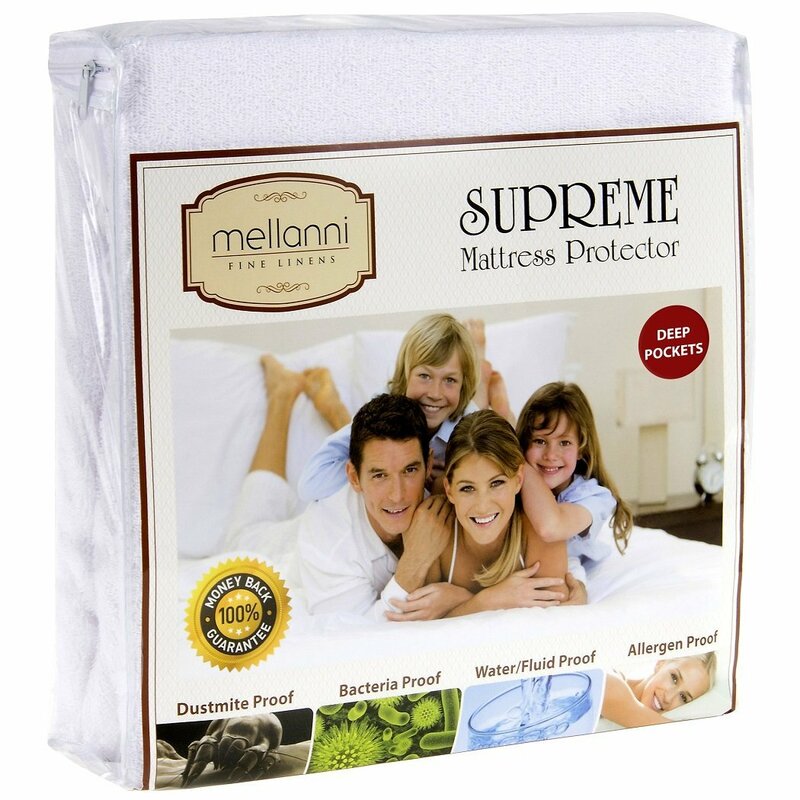 The Mellanni Mattress Protector can be found on Amazon. 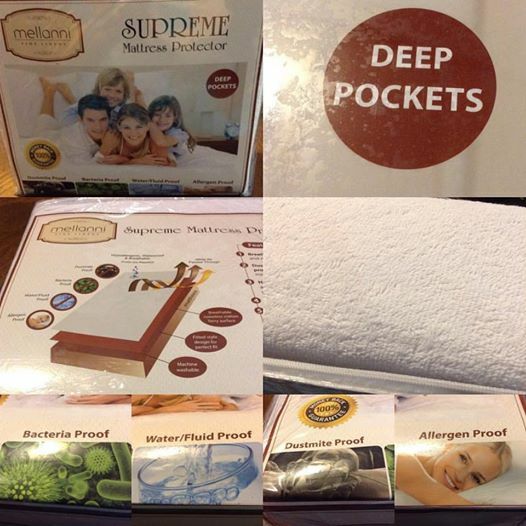 Cotton Terry Surface With Membrane Back Coating (Waterproof, Noiseless and Breathable Mattress Protector). Hypoallergenic and resistant to dust mites - Vinyl Free. Will fit Tempurpedic, Ashley, Simmons, Sealy, Serta, Memory Foam Topper or Waterbed. Perfect for any room in your house - Bedroom, Guest Room, Kids Room, RV, Vacation Home. Great gift idea for men and women, Moms and Dads, Valentine's - Mother's - Father's Day and Christmas. This mattress cover comes in Twin, Full, Queen, King and California King sizes. Our 100% no questions asked, no hassle money back or replacement guarantee is the best in the business.